What do you do when you know you've bought good quality dog food and your dog just won't eat it? 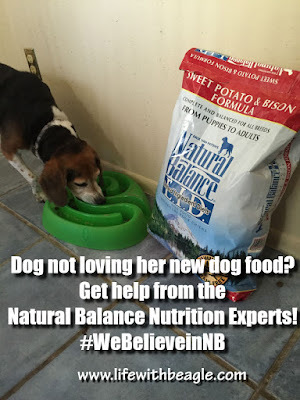 A couple months ago we started talking about why we like Natural Balance® Limited Ingredient Diet. But Lulu even after a week of mixing her food, she wouldn't eat the Natural Balance alone. Not sure what I was doing wrong, I decided to ask an expert. Natural Balance is happy to oblige. Feb. 6 UPDATE: The Humane Society of the U.S. says it is taking steps to sue the U.S. Dept. of Agriculture for removing the APHIS database from the government website. Please read the full report here. Feb. 7 UPDATE: The USDA now says "adjustments may be made in the decision to remove animal welfare inspection reports from the APHIS website, the Associated Press is reporting. Learn more about why this issue is so important below. I have never been political on this site, and I try very hard not to. But if there is one issue we can agree on, it's treating animals well and that was made harder up in Washington. 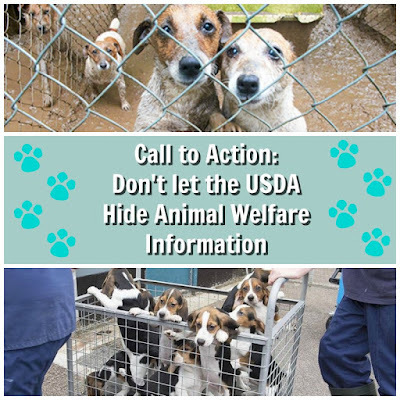 So now I'm asking that you take a moment to tell your Congressman and Senators that you don't agree with this move to remove USDA inspections and other enforcement information on animal facilities across the country.